Home / Research / Can computer-based feedback influence how trans women’s voices sound? The sound of our own voice is an integral part of self-identity and plays an outsized role in how we are perceived by others. For individuals transitioning from the male to the female gender, voice can be a sticking point. Many trans women choose to work with a speech-language pathologist in their efforts to achieve a voice that feels authentic and will be perceived as congruent with a female identity. However, the evidence base on methods for trans voice modification remains highly limited. 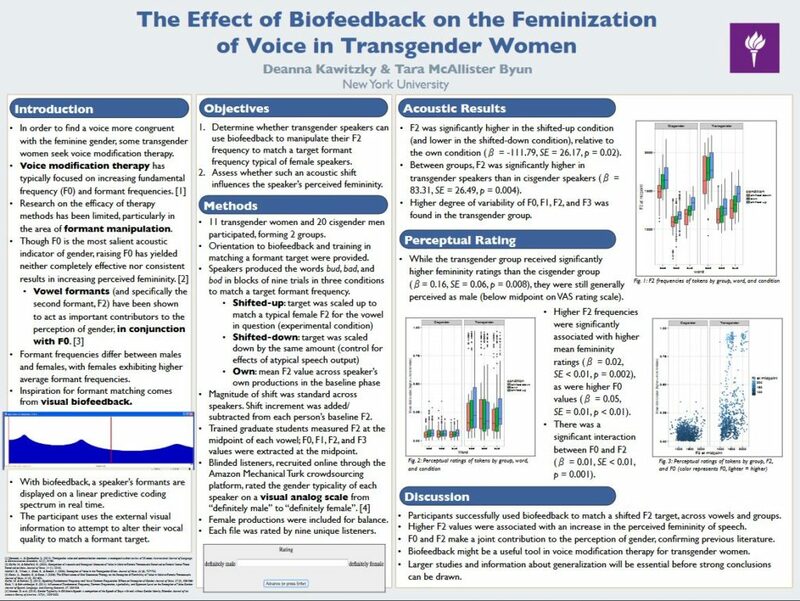 Our proof-of-concept study suggests that biofeedback is a promising direction to improve voice modification for transgender individuals. Press coverage here (Tonic) and here (Into).